Jeff Branson, a St. Louis native, originated the role of Jonathan Lavery on ABC's "All My Children," in June of 2004. Though his character was believed dead from an explosion, he remained on contract for the four months he was off air, and retained that role for over three years. 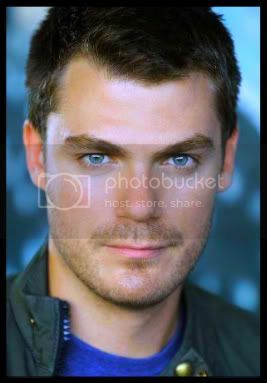 In 2005, he received a Daytime Emmy Award nomination for that part, and in 2009, a second Daytime Emmy Award nomination for his portrayal of Shayne Lewis, on "Guiding Light," a role he played during 2008-9. In June of this year, he created the role of Ronan Malloy on the CBS daytime hit show, "The Young and the Restless," as the enigmatic police detective with a mysterious past. In addition to the aforementioned roles, he has appeared on "Law & Order: SVI," "Strangers with Candy," and in several films, including, "Shaft," "The Big Bad Swim," "Delirious," and others. **You must first register a username & password and be signed in to chat or to phone in a question for Jeff. You can do this on the link above, at the top of the page. Thanks!